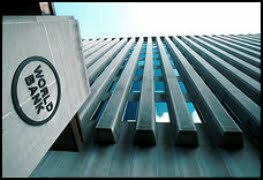 During tumultuous fiscal years of the past few decades, the World Bank, acting in its capacity as lender of last resort, granted unsecured loans to debt-ridden sovereign nations. Instead of taking a lien over the state’s assets, the World Bank protected its interests via a broadly-worded Negative Pledge Clause embedded in Section 6.02 of the Loan General Conditions. This clause ensures that any lien created on any public assets as security for external debt that results in a priority for a third-party creditor will equally and ratably secure all amounts payable by the borrowing state. In short, should such a lien be granted, the World Bank shares in the amounts paid out to the third party creditor, thus preventing the creditor from enjoying senior creditor status and undermining the value of any later-granted lien. Including the Negative Pledge Clause in the World Bank loan agreements helps mitigate the World Bank’s risk of providing unsecured loans by ensuring that a developing nation will not give a later creditor priority over its assets. However, the barrier that the Negative Pledge Clause constructs around a state’s ability to engage with other creditors is so formidable that the clause can end up preventing the state from attracting commercial investment for project financings. As currently drafted, the Negative Pledge Clause dissuades commercial lenders from investing in exactly the kinds of projects that might further development and enrich a nation (thus strengthening the nation’s ability to pay back its debts). This is not only unfortunate for the developing countries involved, but also challenges the raison d’être of the World Bank, a multilateral institution designed to promote development. When it comes to promoting development-friendly projects, the World Bank and developing nations should share a similar goal: encourage infrastructure projects that enrich poor nations, making such nations more likely to repay their prior debt obligations and lessen their future dependence on developing-bank funds. However, in order for a developing nation to become a full member of the world economy, it must be able to act and grant security like other commercial borrowers. Unfortunately, the current Negative Pledge Clause, while established for some important and legitimate reasons, has worked to stifle such development.